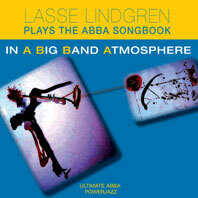 Lasse Lindgren worked busily as a freelance jazz-and-lead trumpeter during his years as a music student and in the years following during the ‘80s when he lived in Stockholm. The first band under Lasse’s own leadership was called “Outfrontö and this was followed by another that among its activities toured with valve-trombonist and composer Bob Brookmeyer. Lasse then started to build a family and moved to Sandviken, working as jazz-and-lead trumpeter with Sandviken Big Band 1989–1997. He also performed in the same role with Bohuslän Big Band 1991–1997 and in the following years with the Danish Radio Big Band (later “Jazz Orchestraö) 1997–2000. ......consummate and impressive trumpet playing. Lars Lindgren stole the show with his incomparably beautiful interpretation of I Remember Clifford. The Latin-tinged Night Light featured the group’s most exciting solo voice, trumpeter Lars Lindgren who impressed whenever he took the spotlight. A man for whom the jazz trumpet holds no secrets. Well worth noting was the Swedish trumpeter Lasse Lindgren who was responsible for the most original cascades of notes. Lead trumpeter Lindgren took a great solo that showed his terrific sound, chops and excellent ideas. (With The Brass Brothers at SildaJazz)........ .Sweden’s Lasse Lindgren’s trumpet solo won’t ever be forgotten.